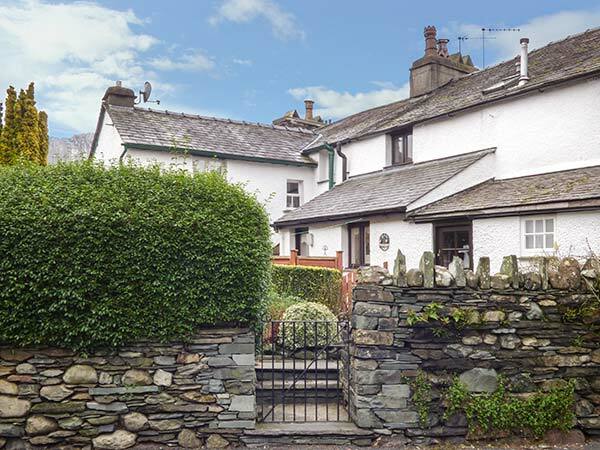 Anniversary Cottage is a cosy, mid-terrace grade II listed cottage located in Ambleside in Cumbria. The cottage can sleep four people in two bedrooms, made up of a double and a twin as well as a separate shower room. The cottage also contains a kitchen and a sitting room with dining area and gas fire. 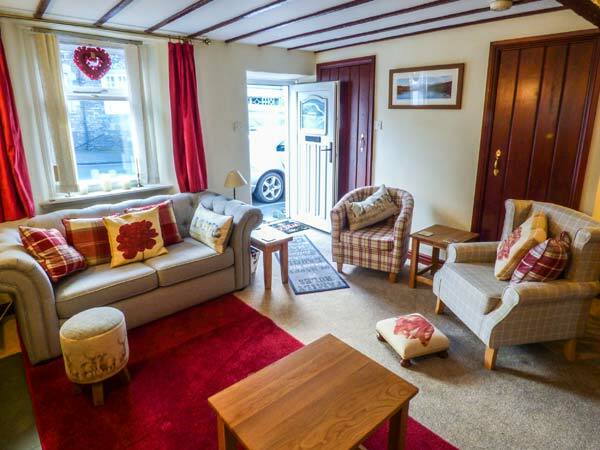 To the outside of the cottage is roadside parking in a side street near the cottage with a local residents permit for one car and an enclosed garden with patio and furniture. Anniversary Cottage is located in stunning countryside, making it an excellent cottage for enjoying the Lake District at any time of the year. Two bedrooms: 1 x double, 1 x twin. Shower room with shower, basin and WC. Kitchen. Sitting room with dining area and gas fire. Gas central heating with gas fire. Electric oven and hob, microwave, fridge/freezer, dishwasher, 2 x TVs with Freeview, DVD, Blu-ray, WiFi, hair dryer. Fuel and power inc in rent. Bed linen and towels inc in rent. Roadside parking in side street near cottage with local residents permit for 1 car. Enclosed garden with patio and furniture. Sorry, no pets and no smoking. Shops and pubs 3 mins walk. Note: The stairs are steep, however have banisters to both sides and a handrail at the foot of the stairs.